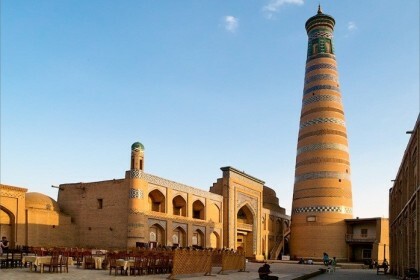 Minaret Kalta-Minor is considered the lowest and shortest tower in the city of Khiva. 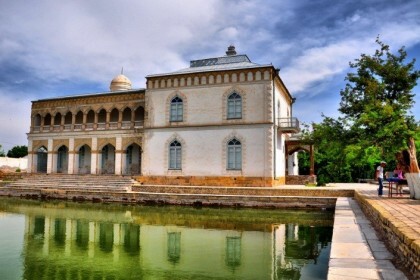 It is located on the territory of Ichan-Kala - the inner city citadel, surrounded by powerful defensive walls. 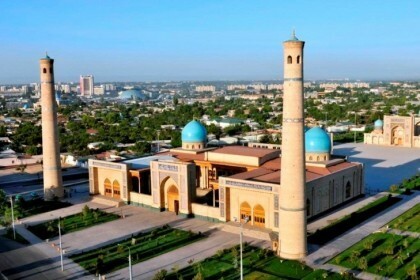 The construction of the minaret began in 1852 by the order of the Muhammad Amin-khan. The work lasted 3 years, until in 1855 the khan unexpectedly died. Thus, the construction of the grandiose minaret, as conceived by Muhammad Amin Khan, was stopped. 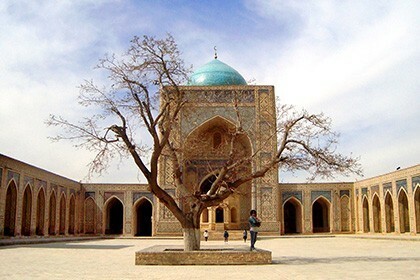 In its unfinished form, the minaret stopped at an altitude of 29 meters, and the width of the base is 14.2 meters. 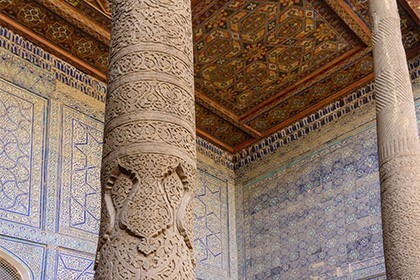 An interesting architectural feature of the tower is that it is completely, from the base to the top, decorated with blue majolica, as well as various patterns with Persian calligraphy. The minaret, completely covered with blue tiles, has become an unusual structure, completely untypical for traditional buildings. Thanks to this, the minaret captures the enchanted views of tourists and is a real decoration of the ancient city. During the years, Kalta-Minor Minaret could be completed and turned into the most grandiose structure of the city, thus realizing the plan of the great khan. 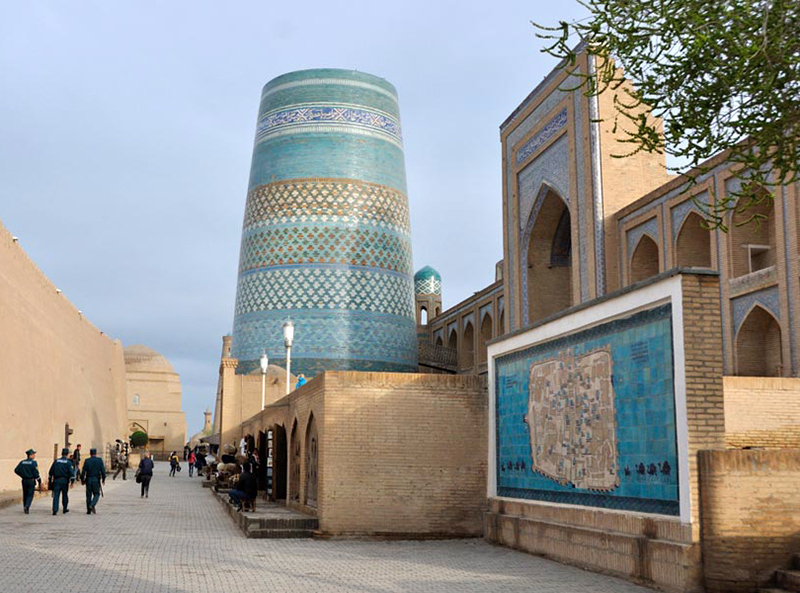 But the subsequent government decided to leave the tower in its original form, making it a unique highlight of the whole of Central Asia - a tower unlike any other, incomparable to anything. This effect was achieved easily and now the famous "short minaret" has become an unusual sight of the city, and hundreds of people come to see it.